Remember what it’s like wanting to be one of the big kids? To ride a two-wheeler, stay up late, watch scary movies…trying desperately to keep up even though lagging behind is part of the circle of life? Every kid has to fight to fit in, but when mobility is a challenge, it’s even more of a battle. Two-year-old Armani knows the struggle well. 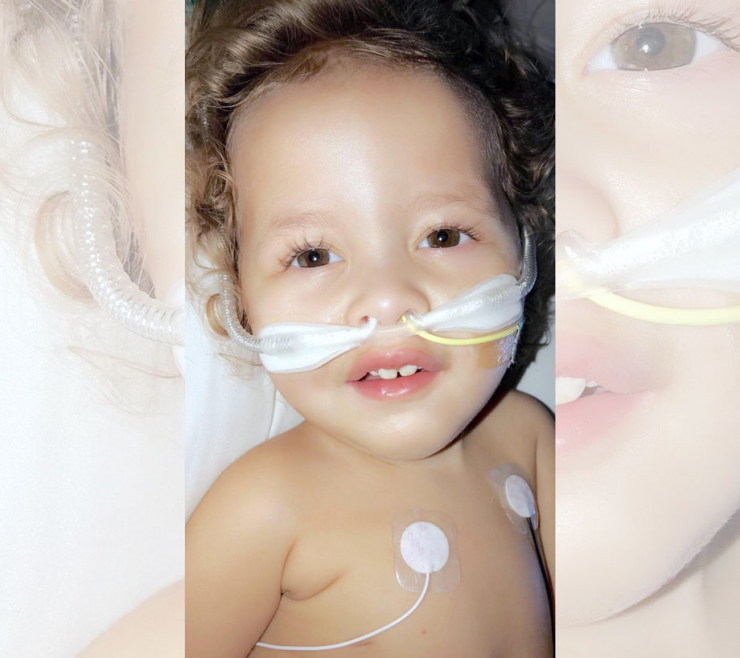 She was born with spinal muscular atrophy (SMA) type 1, a rare genetic condition of the spinal cord that causes progressive muscle atrophy, difficulty feeding, swallowing, and breathing, and comes with a very grim prognosis. 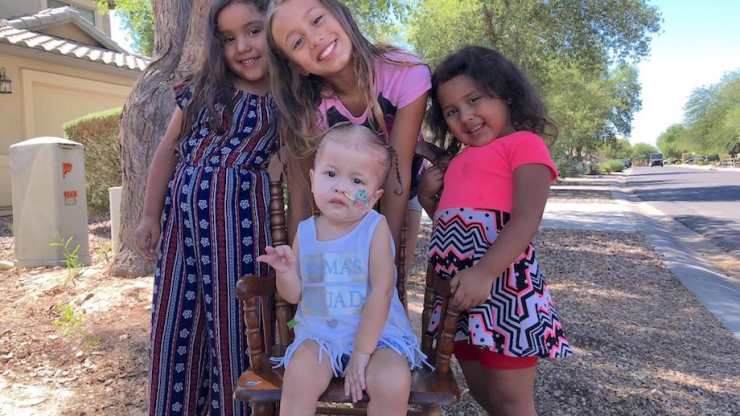 The key to beating the odds is keeping the respiratory system healthy, a monumental task Armani’s family faces every day. 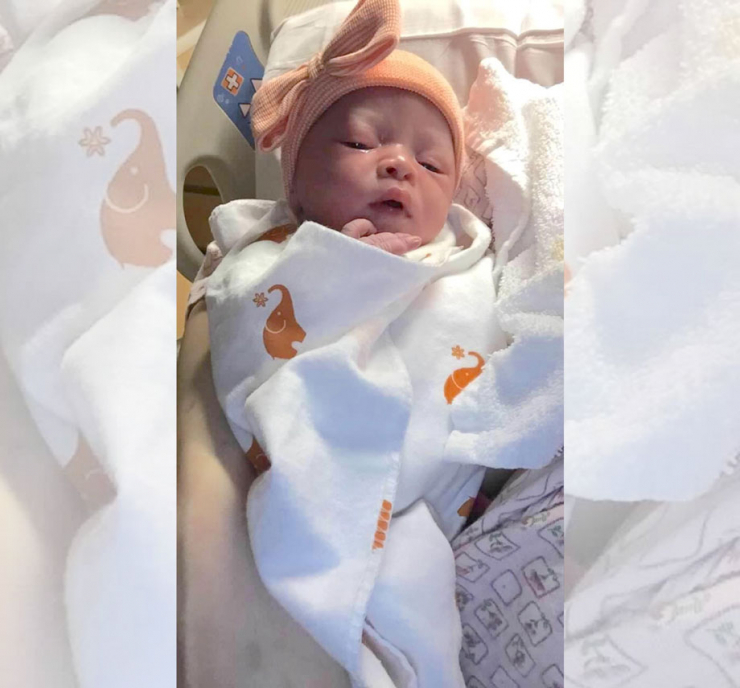 “We tried to reassure her everything was O.K., that all babies develop differently, but her intuition was telling her something was wrong,” remembers Armani’s Gramma Jodi. 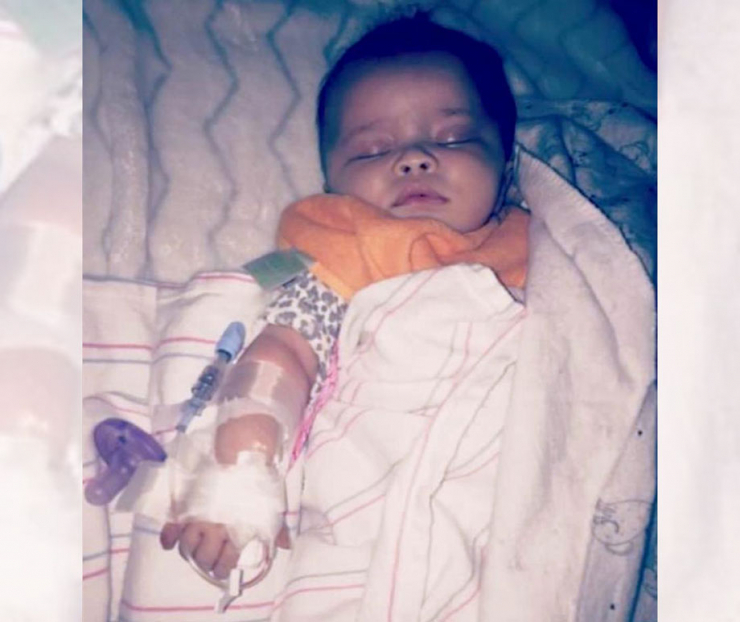 The pediatrician thought something was wrong, too, and there began the battery of neurological and genetics testing that would ultimately reveal a devastating diagnosis. 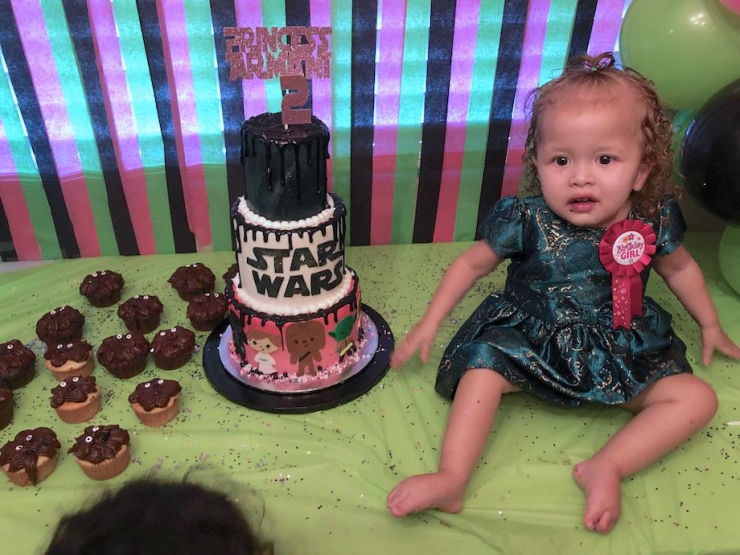 Doctors explained the life expectancy for patients with SMA1 was about two years, but with meticulous respiratory care, there was hope Armani could live longer. 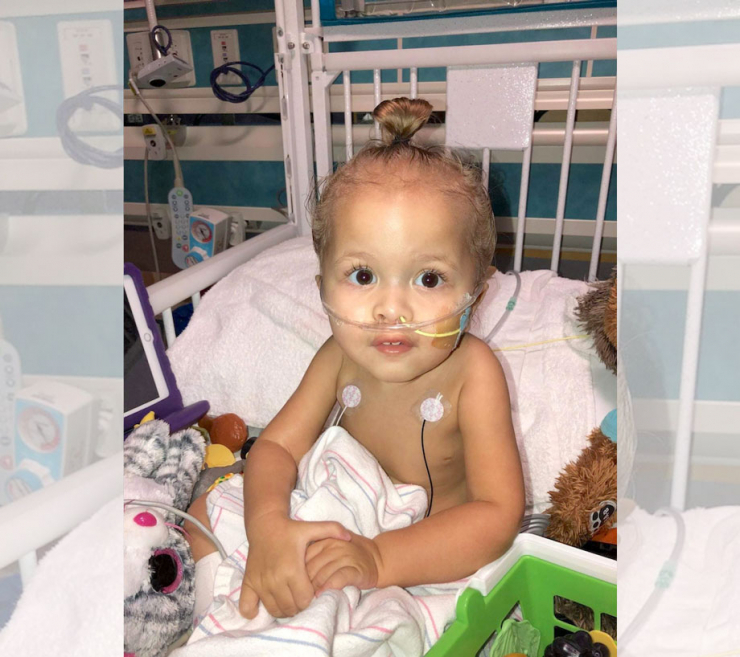 Even better, they said, the first ever FDA-approved treatment for SMA1 had been approved just two months earlier, so if there was ever a time to be diagnosed with SMA, this was it. 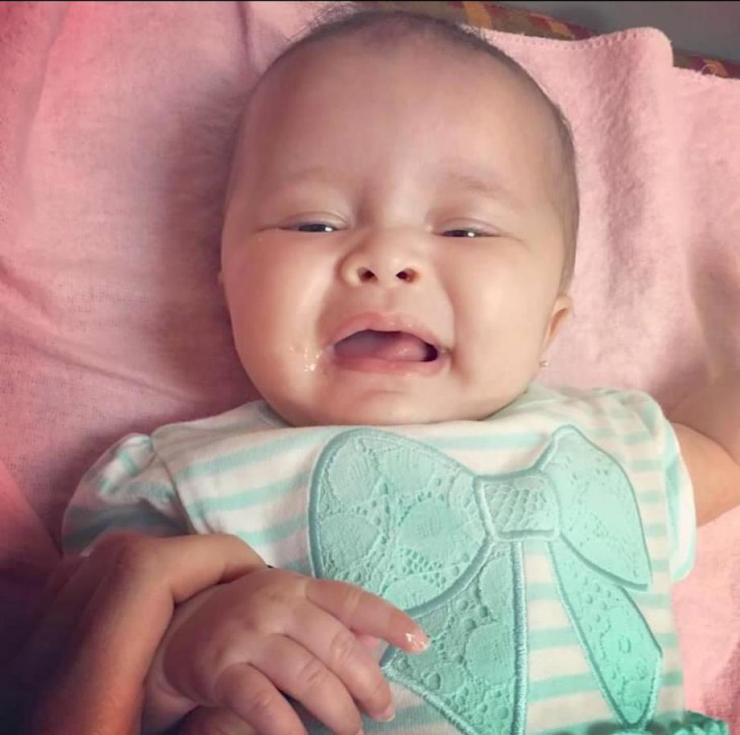 At just four months old, doctors injected the new medication into Armani’s spinal column to stop the spread of SMA1. 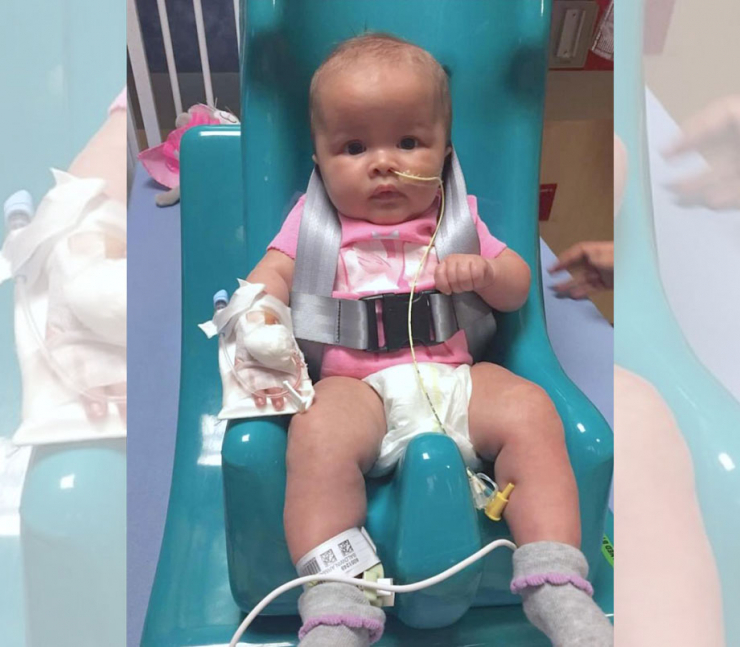 She had another treatment four months later, and will have one every four months for the rest of her life. But it’s so worth it. 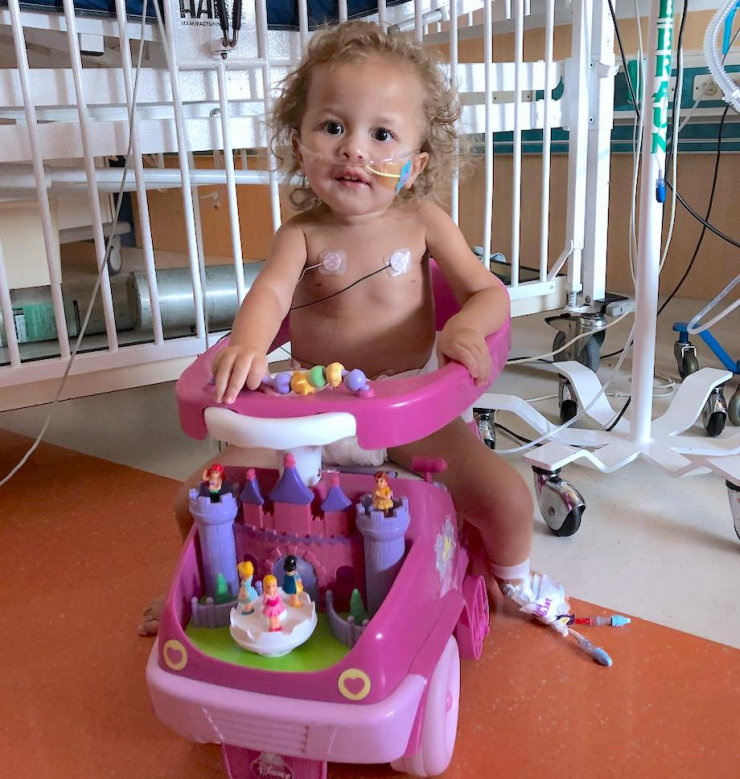 Kids like Armani were never expected to walk, eat, or breathe on their own, but with the new treatment, they’re accomplishing things doctors never dreamed possible. Armani can sit unassisted, scoot slowly on her behind, and ride her little princess car, even in the hospital. 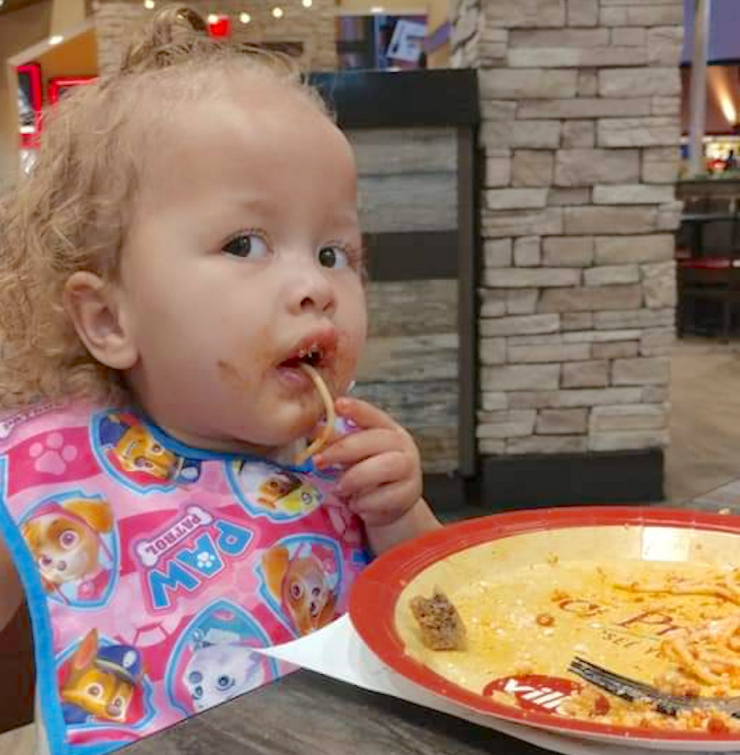 She loves to eat, though she still has a g-tube for fluids and medication, and has a masterful pout for demanding more of her favorite foods – ice cream and candy, my kind of girl. And last year, she hit the milestone science said she never would. 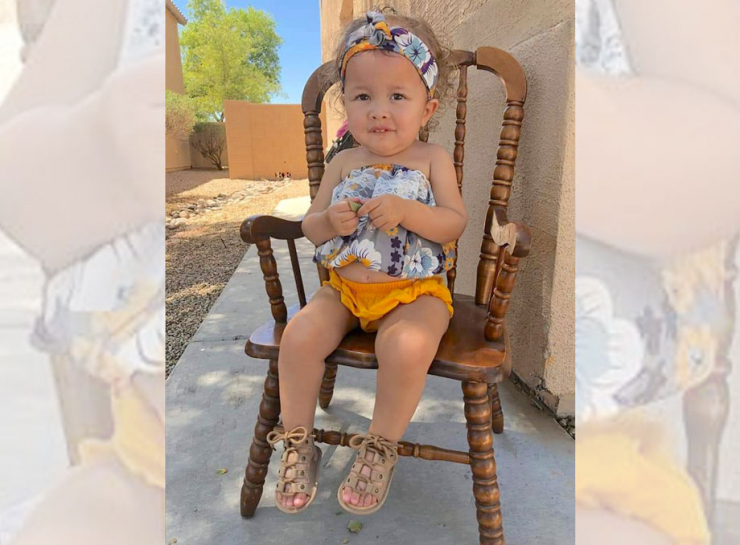 She can’t walk or crawl yet, but Armani’s physical therapist is hopeful one day she might – they’re working on building strength and stability every day, and improving balance so she doesn’t need so much assistance to get around. Because honestly, you can’t keep up with the big kids if you can’t keep up with the big kids. We didn’t think mobility seemed like too much to ask, so we wanted to help. 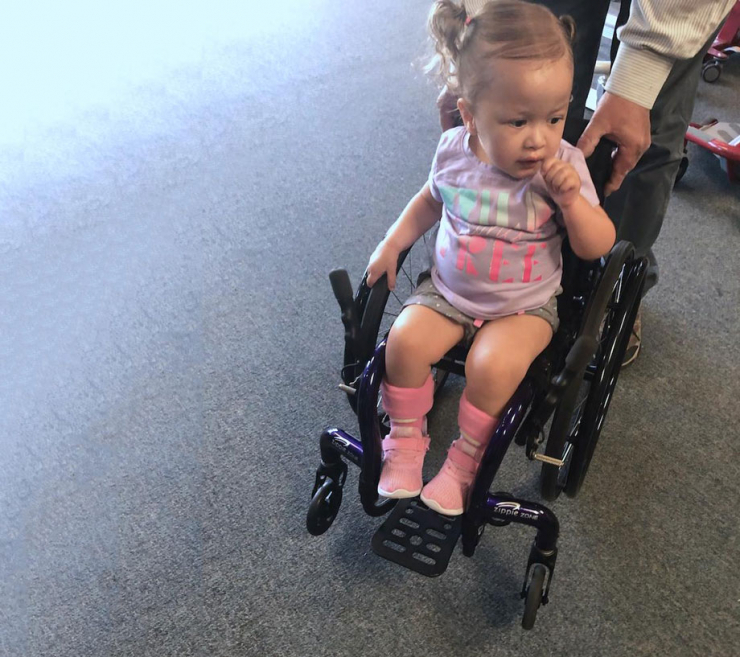 Did you know insurance won’t pay for a manual wheelchair for kids under three? Even if their entire lives have been a struggle and it’s the one thing that will help them feel less different and more like a kid? 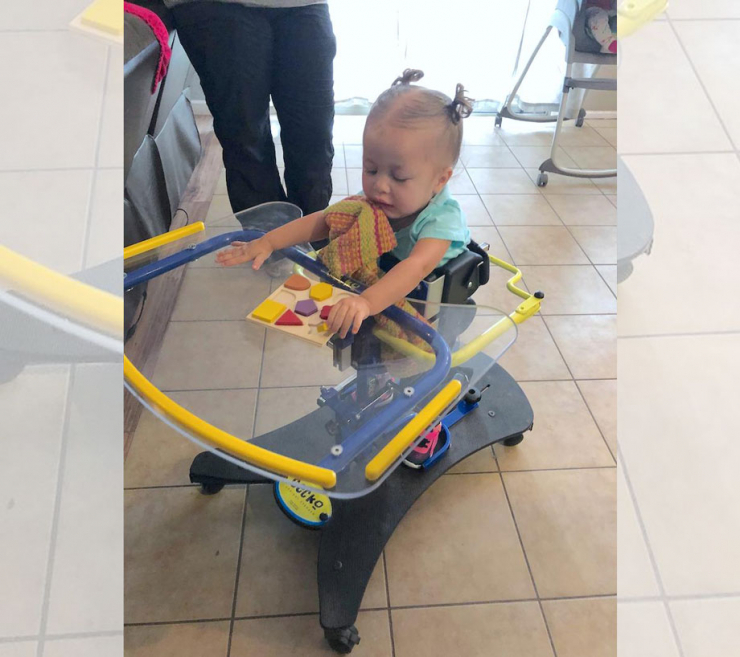 Chive Charities believes everyone, big and small, deserves the freedom of mobility, so we provided a $3,000 grant for the tiniest, most adorable manual wheelchair you’ve ever seen. The custom wheels arrive later this week, and we fully expect Armani will be cruising right along with the big kids on Day One. Big thanks to our monthly donors for making this, and all our Chive Charities grants possible – you really do make the world 10% happier. If you’re not one of them, it’s not too late to change the life of our next grant recipient! Become a Chive Charities monthly donor RIGHT HERE.